Whether you love it or hate it –having your finger of the financial pulse of your organisation is vital, yet some many people have to make do with no or partial information – but not those with CABS Finance Manager. CABS understands both prices and costs. This doesn’t mean you have to charge for things, but that you can if you wish. Indeed, several CABS users only charge for no-shows and last minute cancellations. 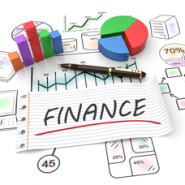 CABS Finance Manager works across all the other modules and provides official quotations, customised invoices, event and client statements (printed or electronically), costed menus and works with VAT inclusive or exclusive prices. Whether you want to know the financial contribution of each booking or event, or just keep track of deposits and final settlements, the CABS Financial Manager is a tool that puts your finger on the pulse and your mind at rest. Find out more by contacting us now.